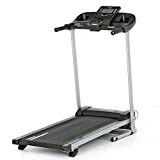 Motors: While these treadmills are not really well known for their extremely powerful motors, they are still powerful enough to give you great walking speeds. The treadmills will have a motor that ranges from between 1 and 1.5 HP. This does help bring down the costs and should allow you to get some decent speeds. Foldable: Most of the Confidence treadmills can be folded and this means that you should not have any troubles when it comes to storing them. The folding function is easy to use and will not require any additional modifications. 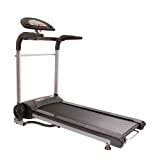 In terms of size, these treadmills are also quite small and they are designed to fit in your home quite snug, without taking up too much space. Incline: Unfortunately, these treadmills do not include a decline feature, but they can be adjusted for incline uses. The incline should be done manually, but will still be effective enough when using them to get more calories burned and to get better results. The incline is not the very best, but we would still recommend this for lighter users. Tread belt: The tread belt is fully motorized and this means that you will be able to keep a constant pace. No additional shock absorbing items have been added and this could cause some joint pain. These treadmills should be perfect for lighter use and the designs might not hold up for the more experienced heavy duty user. 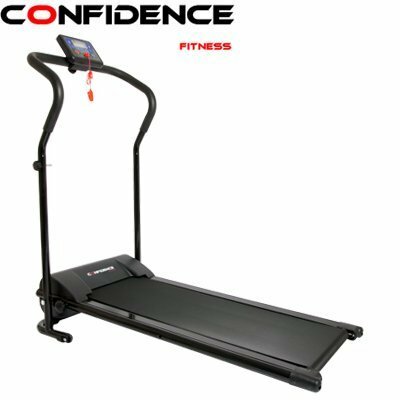 Lightweight: the Confidence Fitness ranges of treadmills are really lightweight and this means that they can easily be moved. 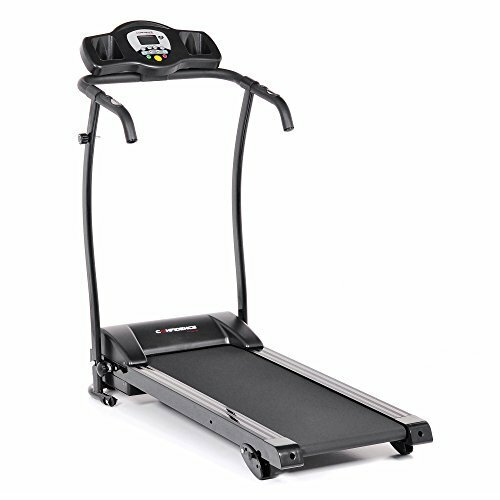 The treadmills weight in at around 60-70 pounds and this will mean that they really versatile and compact. 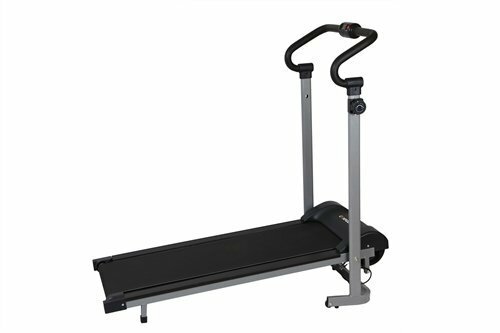 Durability: These treadmills are quite smooth and silent and they feature decent durability for the right users. The maximum weight limit is quite low and this means that they will not be perfect for bigger users looking to lose weight. The frame will certainly hold up for casual use, but we do have our doubts when it comes to vigorous training. 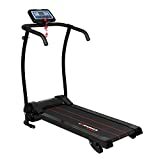 Price: The best part about the Confidence treadmills is the price. 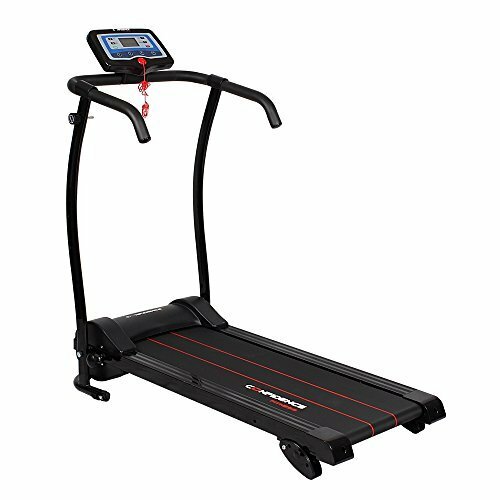 These treadmills are really affordable and they can be bought by most new fitness enthusiasts. 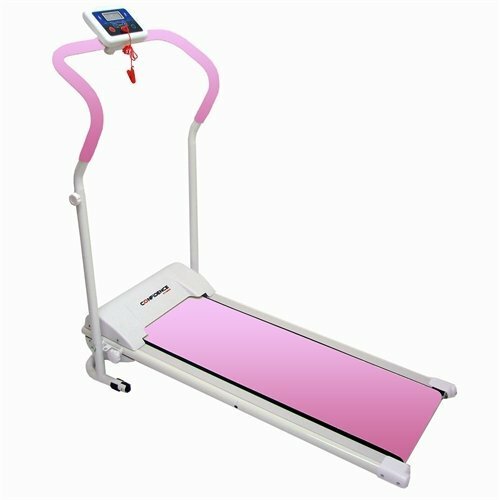 The treadmills can be bought with an electric motor or the magnetic resistance and the price will certainly be different depending on which one you choose. These treadmills will definitely be recommended for newcomers to the industry. Console: These treadmills do not have the most advanced consoles and you will need to have the workout programs planned before you start. The console is still capable of tracking the basic stats and this should certainly be a great way for you to see how you have progressed and where you still need to go. 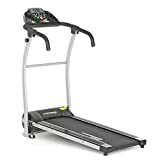 Warranty: These treadmills might not have the best warranties and we have not seen them as high as many of the more advanced brands. They should still keep you protected for up to 1 year and this does not include services. If you choose the magnetic treadmill, you need not worry about having the motor serviced and this could save you some additional money. Assembly: Unfortunately, these treadmills do require some assembly. The assembly can really add a lot to the price and if you are skilled in assembling these products yourself, that will be a great way for you save some additional cash. The assembly is also only a once off expense. These 10 features are the main features that you can expect to get when purchasing a Confidence treadmill. These features might be small, but once you put them all together and you look at the cheaper price, you will find that you are actually making a bargain purchase and getting great value for your money. The assembly might be the only thing that could cost you extra. 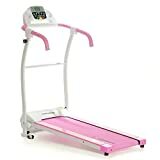 We would like to thank you for reading this article and we certainly do hope that you have managed to find a new side of the Confidence treadmills that dispels the rumors that they are cheap. 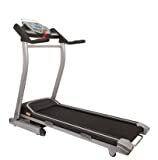 The treadmills are affordable for the average individual and they should be ideal for most homes and beginners to get started.We would also like you to share your thoughts on the article in the comment section below and let us know if you think we might have missed any of your favorite Confidence Fitness treadmills. Please also let us know if you have experience using one.